Image is not my own, courtesy of Universal Pictures. The idea of a cosy night in with a romantic film, some take-away food and a couple of candles, may sound more like your type of Valentines Day, but with the enormous amount of choice when it comes to the classic romantic comedy, it can be hard to find the right one for a night in with your partner. 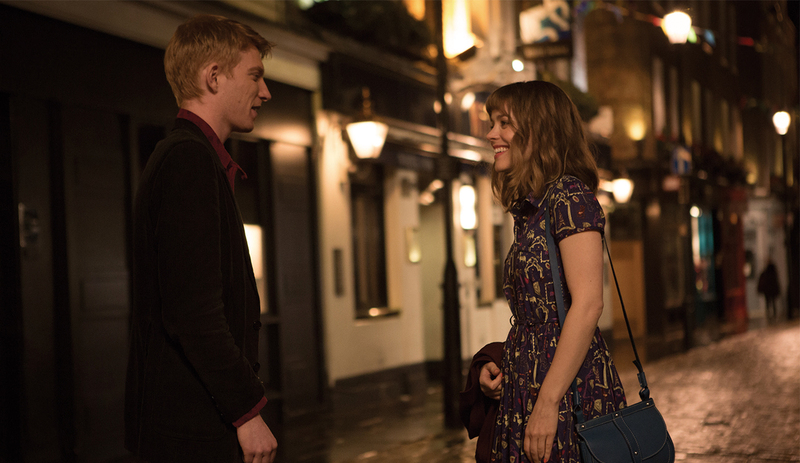 Entering one of my favourite films... About Time, a sweet film that blurs Richard Curtis' skilled proficiency in creating romantic classics such as Love Actually and Notting Hill and the hard to master science fiction. For 2 hours and 4 minutes, the 2013 release takes you on an emotional roller coaster of laughter, crying, self-evaluation and motivational inspiration. For me, this is the perfect film to watch with your partner, to really evaluate your own relationship and learn a lot about appreciating their small habits, loving those closest to you more openly and not taking the everyday matters of life for granted. With Curtis' time-travelling story being based around the idea of finding and falling in love, the story is rooted much deeper in the family relationship of a father and son. When Tim (played by the Irish talent Domhnall Gleeson) reaches the age of 21 he learns the family secret that the men can time travel, which his Father (played by Bill Nighy) tells him don't use this for the accumulation of wealth as he's never met a genuinely happy rich person and ultimately to use this as an opportunity to really go after what matters most, which to Tim is finding a girlfriend. The post-modernic film takes you through a series of events, in a style that can easily remind anyone of Groundhog Day, that really teach us to capture life and feel the individual moments whole-heartedly, live and breathe the small parts of our lives that ultimately make it individual to our own stories. Learn to be patient, kind, accepting, loving and never take anything for granted. But whilst this beautifully wrapped tale inspires it's audience to really appreciate the present, what makes this film so touching and heart warming to watch is how the narrative is aided by beautifully shot cinematography, with the realistic quirks of the English home interiors and outside locations in the miss-en-scene, lighting to gives the perfect mood to the story and a melodic score that is bound to be a tear-jerker. 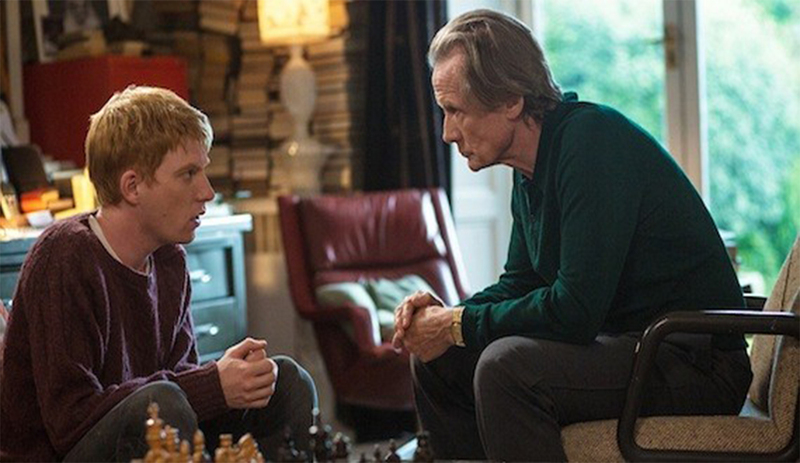 About Time is edited in a way that guides Curtis' writing and direction so naturally that along with the voice of Gleeson narrating his journey and moments of realisation, that it is impossible not to be moved and captivated by the performances of the perfectly cast members of the Lake family and Mary (played by American beauty Rachel McAdams). The chemistry of Gleeson and McAdams is a joy to watch on screen, who play the ultimate dream-like couple. With a bond built around the understanding and support of each other's lives and goals, they build a family unit that is aspirational and intellectually stimulating in the analysation of couples today. As well as this, the relationship between Gleeson and Nighy, which takes an unexpected twist towards the end of the film, (that ultimately made the film for me so delightfully wonderful is something that just adds an extra touch of delight to this film) shows how a family relationship between a father and son should be. Despite the fact that the premise of the film is built around the impossible ability to relive moments from your past, About Time feels so natural and realistic in it's approach to dialogue, what you see and hear, that you forget the jumping between past and present and instead, are so wrapped up in this sunny film built around endearing moments that are touching to watch. Except to see some familiar faces in this British flick, such as Margot Robbie, Lindsay Duncan, Catherine Steadman and Richard Griffiths and be prepared to be on the edge of your seat at times, as well as sitting back and reflecting on the importance of noticing "how sweet the world can be". Be genuine and kind, grateful and above all believe in the importance of love. To read some well-worded reviews click here and here, for more of a plot summary or to watch the trailer, see below.